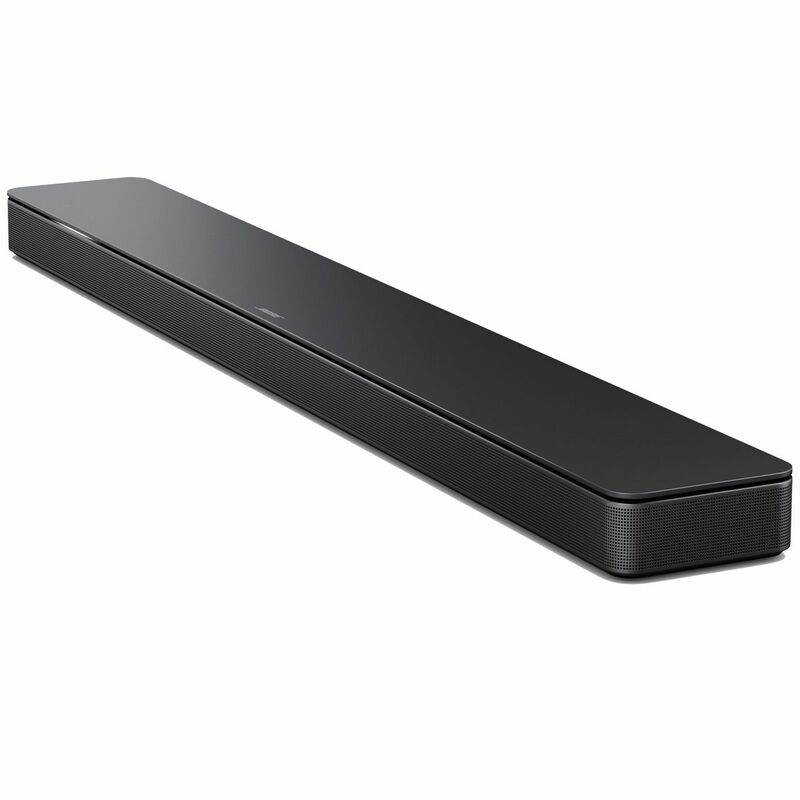 This stylish soundbar is meant to be heard, not seen. That's why Bose® engineered custom designed drivers to keep the Bose Soundbar 500 almost impossibly thin, without taking away from the acoustic excellence Bose is known for. Measuring only two inches high, its profile fits discreetly under your TV screen, so you won't even know it's there - until you hear it. And with Amazon Alexa built in, you won't have to lift a finger. Yes. The Bose Soundbar 500 and Bose Soundbar 700 and the Bose Bass Module 500 and Bose Bass Module 700 all use the same wireless protocols and can be mixed and matched (e.g., a Bose Soundbar 700 wirelessly paired with a Bose Bass Module 500 or a Bose Soundbar 500 with a Bose Bass Module 700). However, the design language and materials of the Bose Soundbar 500 and Bose Soundbar 700 product lines were designed to complement the product in the same class (e.g., Bose Soundbar 500 products together and Bose Soundbar 700 products together). So the glass on the Bose Soundbar 700 products look more complementary together than if you mixed one Bose Soundbar 500 product with a Bose Soundbar 700 product. 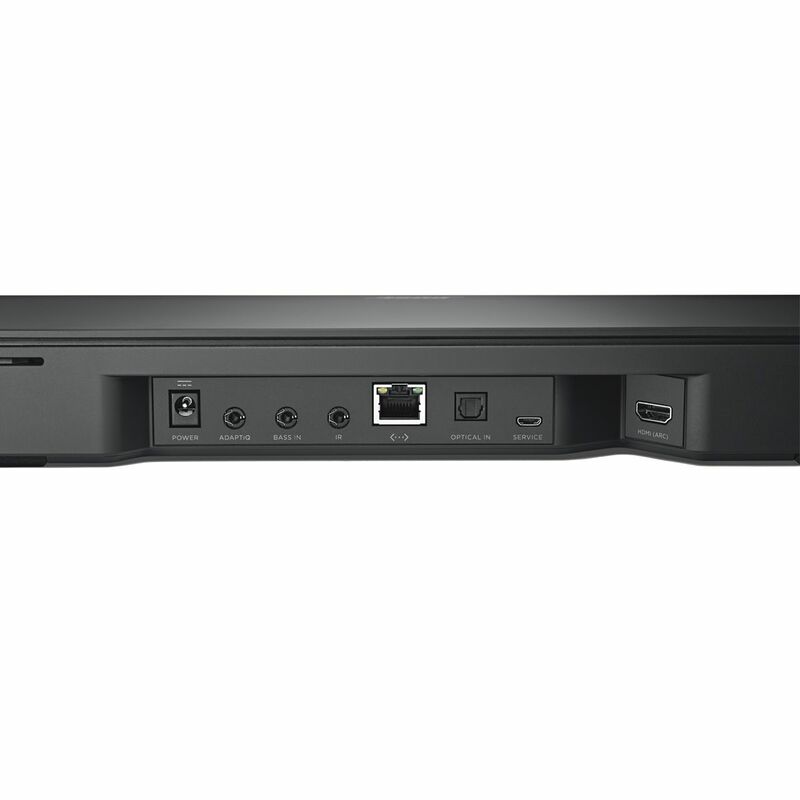 Can source devices, such as a cable box, iPod, gaming system, etc., be connected directly to the Bose Soundbar 500? The Bose Soundbar 500 uses the reflective surfaces of the room to deliver a spacious home theater experience. To ensure optimal audio performance, the soundbar should be placed equidistant from each side wall and directly in the front-center of the TV. No objects should be placed in front of the soundbar, nor should it be placed recessed inside a cabinet, as this would result in a limited sound stage. Also, nothing should be placed directly on either side of the Bose Soundbar 500 since there are side-firing transducers located on either side. There are two ways to control other devices: HDMI-CEC and IR. The soundbars may be able to control connected devices (TV, Blu-ray Disc? player, game console) over HDMI-CEC. This allows you to turn on other devices and operate them with the soundbar remote without any programming. It also enables one-touch access to entertainment, enabling you to turn on multiple devices and select an input with one button press. However, not all devices respond to these commands. In particular, cable and satellite boxes may not respond to HDMI commands. The customer still can control devices that do not respond to HDMI commands by programming the Bose Soundbar Universal Remote which is an optional accessory for the Bose Soundbar 500. 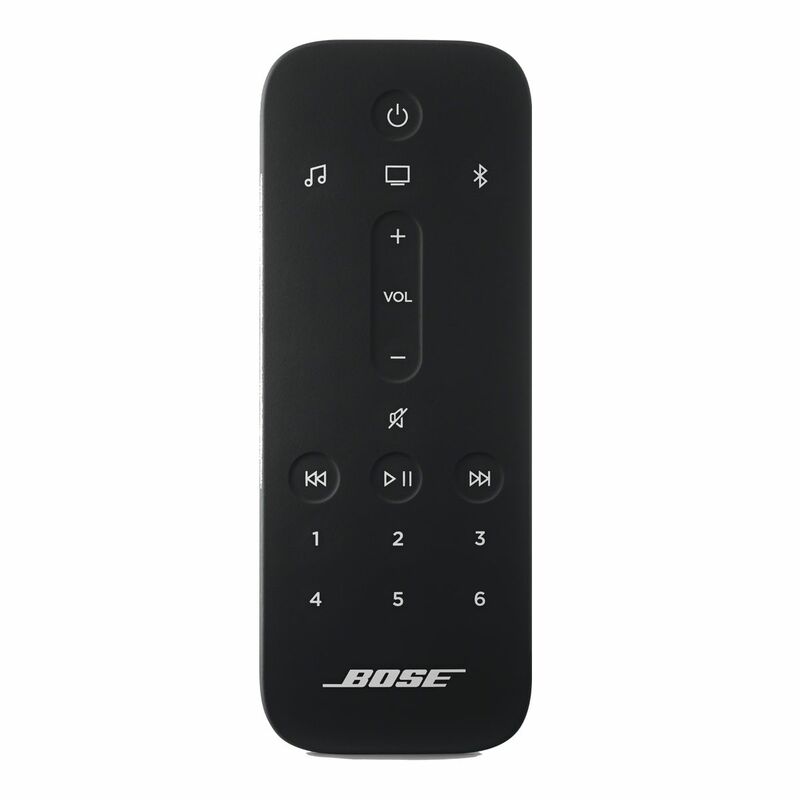 The Bose Soundbar 500 comes with a basic IR remote control. Line-of-sight is required between the remote and the soundbar. Does the Bose Soundbar 500 have NFC technology for Bluetooth pairing? How do I connect a Bluetooth� device with the Bose Soundbar 500? ADAPTiQ is part of the overall setup process and driven through the Bose Music app. You will be prompted to run ADAPTiQ after you download the Bose Music app and start the setup process. If you skip running ADAPTiQ during the initial setup process ? or change your room significantly after initially running ADAPTiQ ? you can go back into the app and do it again. Initiate ADAPTiQ and follow the prompts in the app. Can the Bose Soundbar 500 be mounted to the wall? Bose® Soundbar 500 BIG SOUND. SMALL SOUNDBAR. Bose® Soundbar 700 Designed to be the world’s best soundbar. 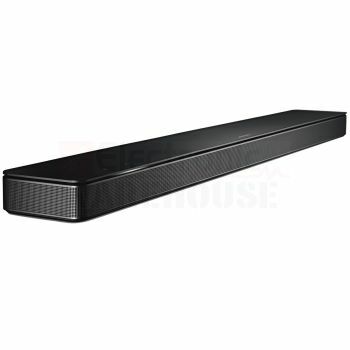 Bose® SoundTouch® 300 Soundbar The Best Soundbar For Music and Movies. The full manufacturer's warranty from Bose is only valid when the Bose Soundbar 500 is purchased from an Internet Authorized Dealer. We will match any Internet Authorized Dealer's best price on the Bose Soundbar 500. 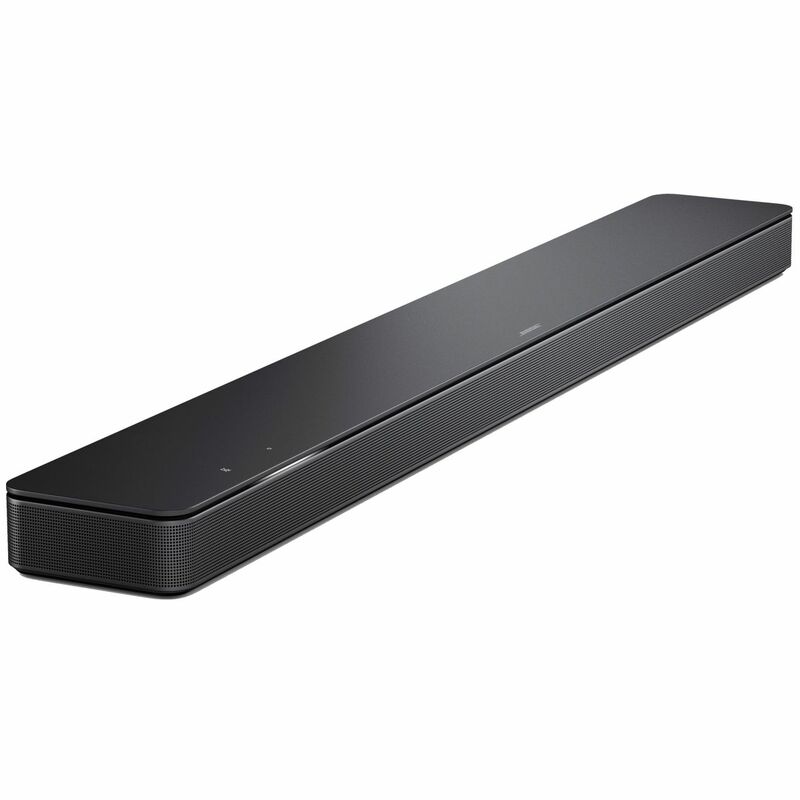 The Bose Soundbar 500 may be referred to by the following terms: 799702, 017817783354.